Early this morning a loyal listener of the show let us on to an estate sale going on in Davenport. Really doesn't sound all that interesting, but one item in the sale really piqued our interest. Antique furniture, quilts, antique singer treadle sewing machine, Standard Sewhandy sewing machine/black carry case, Singer w/wood rounded case. Military items, wood decoys, paper mache geese decoys, wildlife art. Quilt fabric, pattern books, wall hangings, quilt rack, Dwyer & Michaels 97X banner, antique model ship. That's right, a Dwyer & Michaels 97X banner! Upon hearing this news we sent Klinger out to the sale to try and procure the banner. Dwyer hoped that it would be a banner that we used while doing remotes at the old President's Casino. Too bad for Dwyer, it wasn't the same banner. This is good for our listeners however. See the thing is, we already have a copy of the Estate Sale Banner hanging in the studio. So if we win the bid we're going to give it away! 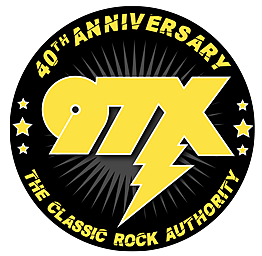 Listen to 97X Friday morning for your chance to win.